Let It Go! Help Anna and Elsa save the Frozen Kingdom. Use your walkie talkies to share secrets with friends and create epic adventures. Bring Anna & Elsa with you wherever you go with unique character graphics. Easy to use push to talk and adjustable volume lets use your walkie talkies at the optimal level for you. Perfect for any Frozen collection and anybody who loves Frozen. 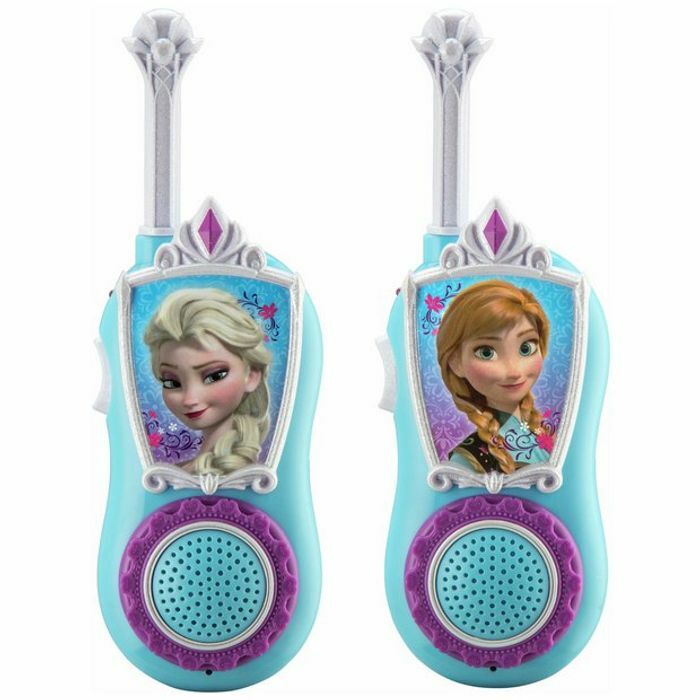 One Anna & one Elsa frs walkie talkie, with static free 450 meter range, and volume control. With a simple push to talk button, your child will be able to play right away hassle free. Immediate fun straight out of the box. Adjustable volume allows for a pleasant listening experience. Batteries required: 8 x AAA (included) plus .